When iPhone first launched, backing up data was a cumbersome process that required users to transfer their files to a Mac or PC via iTunes. Apple has since moved to the cloud with iCloud, providing an incredibly simple way to back up iPhones, iPads and iPods without a host computer. Backing up an iPhone to iCloud requires users to have an active account and be logged-in on their device. This is normally completed during the activation process, but if you are not logged into iCloud, the appropriate settings are accessible via the Settings app under iCloud. 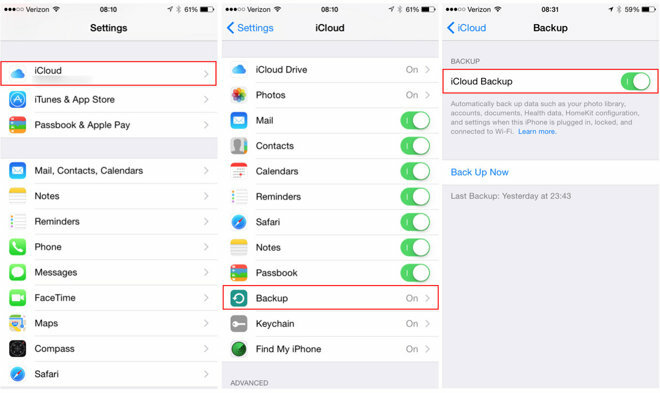 Once you’re logged-in, backing up an iPhone to iCloud is an insanely easy process. First, open the Settings app on iPhone and navigate to iCloud, as seen in the screenshot above. Next, scroll down and tap on Backup. If it’s not already activated, tap the iCloud Backup option. You will see a brief description of the backup process. The backup includes device settings, messages (iMessage, SMS, and MMS), ringtones, all app data (including Health app and HomeKit configuration data), location settings (such as location-based reminders), and Home screen and app organization. Any data created in a native iPhone app is already synced in your iCloud account and not part of the iPhone backup. By default, all app data will be backed up to iCloud. Users can manage which apps are backed up by going to Settings > iCloud > Manage Storage > Backups. iCloud backups occur automatically when the iPhone is plugged in to a power source with the screen locked and connected to a Wi-Fi network. There is also an option to backup manually. To do so, simply tap Back Up Now in the iCloud settings menu. iCloud is capable of storing up to three device backups. In order to conserve storage space, Apple reserves the right to delete old iCloud backups if a user has not backed up his iPhone for 6 months. Unlike other platforms, iCloud doesn’t require any third-party software, and it doesn’t create a partial backup of data (as with, for example, Android). Rather, iCloud backs up all data on the iPhone and automatically syncs new app data dynamically. We live in a wireless world, and your Mac is equipped to get the most out of it. For years, Apple has included two forms of wireless communication on the Mac: Wi-Fi, the ubiquitous wireless networking technology that connects you to the Internet, printers and other devices, and Bluetooth, the device interconnect that works with keyboards, mice, speakers and other gadgets. While this all might sound like second nature to some, if you just got your first Mac, and it’s also your first computer, all the different terms and steps might seem a little confusing. But don’t worry—we’re here to help. Wi-Fi is used at coffee shops, libraries, in airports and countless other “hotspots” around the world. And if you’ve set up wireless networking in your house, it’s probably Wi-Fi. 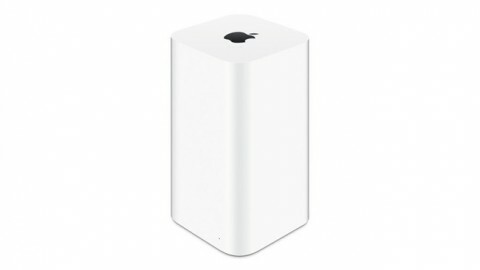 All new Macs support 802.11ac, the fastest Wi-Fi networking available, and it’s backwards-compatible with older standards. 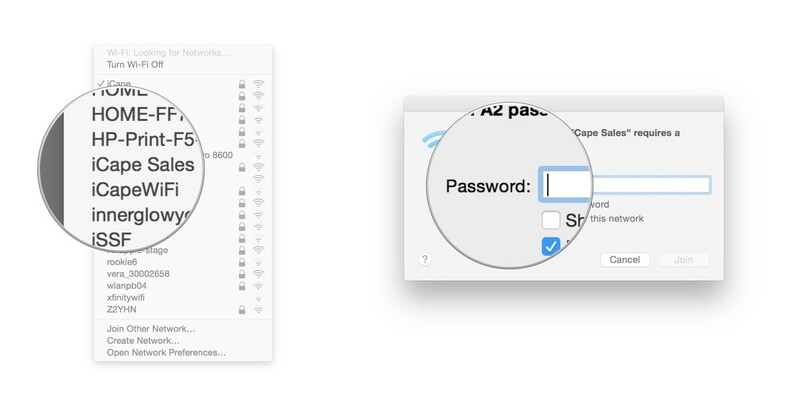 So regardless of how fast your Wi-Fi networking is, your Mac should be able to keep up. Click on the Wi-Fi icon in the menu. It looks like fan, or pie wedge. If Wi-Fi is off, it will show you an empty fan icon. Select the network you wish to connect to. Networks protected with a password will show a lock icon next to their name. The relative strength of the network signal is indicated by how many bars are in the fan. Enter the password and then click on the Join Network button. The Mac will hide the password by default, but if you click the Show Password checkbox it will show it. Make sure Remember this network box is checked unless you want to enter the password each time you connect. Bluetooth is a low power wireless communications interface typically used by accessories that need energy efficiency more than they need speed. 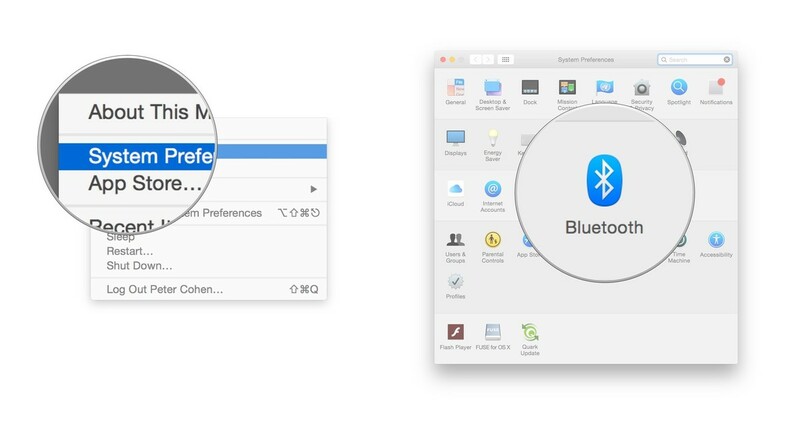 It’s vital to keep data communicating between the Mac and the iPhone, for example, and if you have an Apple Watch, it partly depends on Bluetooth to communicate with your iPhone too. Apple’s wireless Beats headphones and Beats Pill speakers use Bluetooth. Bluetooth is also used on the Apple Wireless Keyboard, Magic Trackpad and Magic Mouse, along with many third party mice, trackpads, keyboards and audio speakers. The name of the Bluetooth device should appear in the Devices list. Click on the Pair button to pair it. The Mac requires some devices like keyboards to be authenticated using a passcode. Many other devices like speakers won’t require any authentication. Once the Mac and the device are paired, the Mac will show the device as Connected. If you have any questions, or are experiencing any issues with Wi-Fi or Bluetooth on your Mac, ask away in the comments! 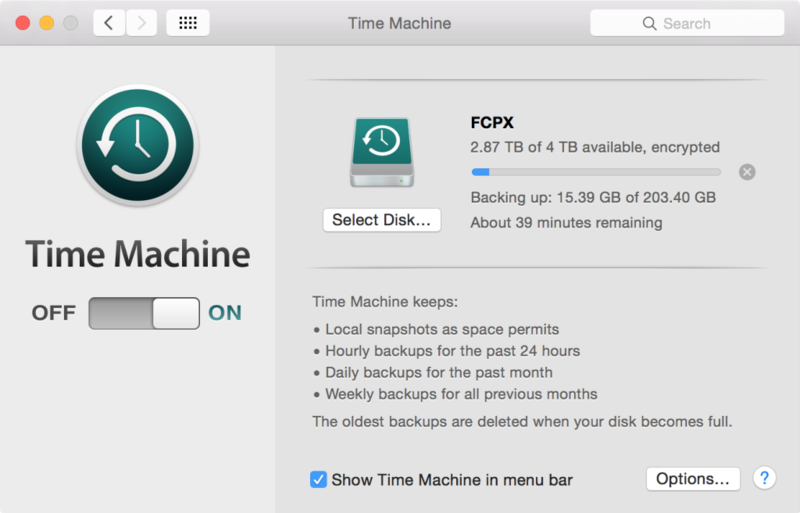 Time Machine is a Mac utility that allows you to automate hourly, daily, and weekly backups on an external drive that’s connected directly to your Mac or via a local network. It’s seen as the first line of defense against data loss, and features simple setup. Setting up Time Machine, in its most basic configuration, is extremely easy. 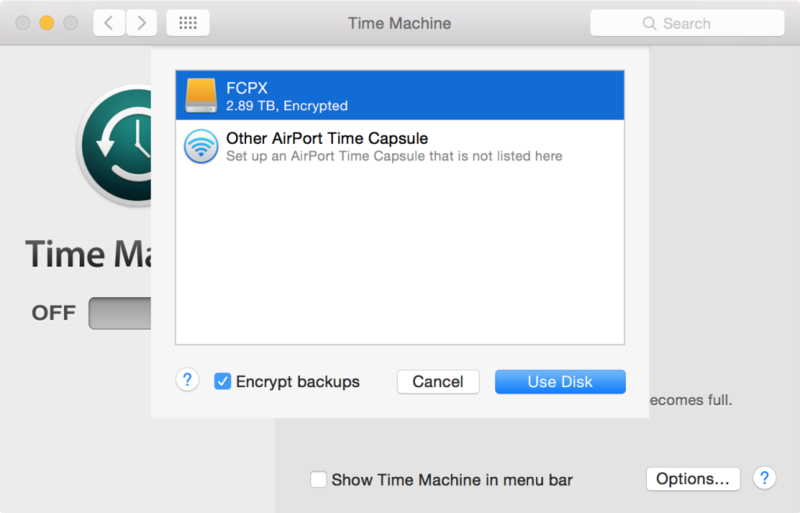 All you need to do is launch the Time Machine preferences, turn on Time Machine, select a Backup Disk, and you’re pretty much set. Of course, there’s much more to Time Machine than just the initial setup, but in this first post in our Time Machine tutorial series for OS X, we’ll cover some of the basic set up options. The first backup will begin in two minutes. 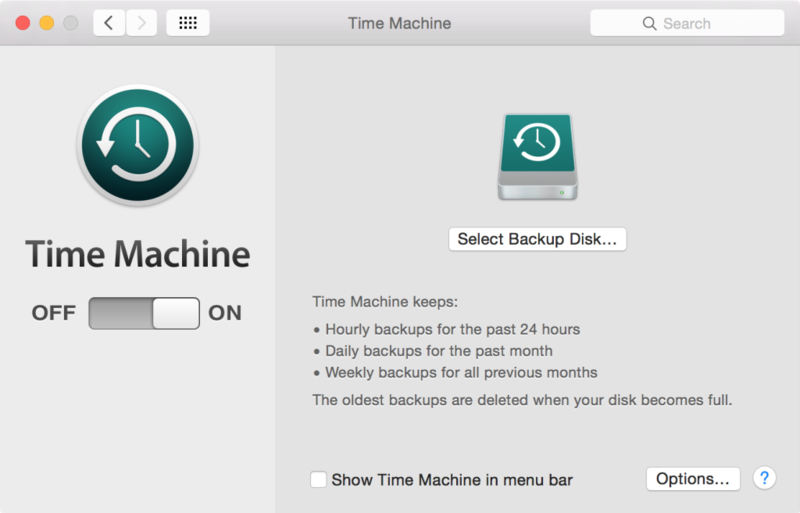 Once the backup begins, you’ll see backup statistics in the Time Machine preferences. If you have the “Show Time Machine in menu bar” option enabled, you can also check the progress of the backup by clicking the Time Machine menu bar icon. Since this is my first initial backup using Time Machine, it will probably be large, and thus it will take a while to complete. As you can see from the screenshot above, the first backup is over 200GB. Each subsequent backup should be smaller (and faster), since they are of the incremental variety. In this example, I used a basic setup that involved connecting a USB 3.0 external drive directly to my Mac. In future Time Machine tutorials, we’ll go more in depth with how to browse backups, restore specific files, local network options, encryption, etc. 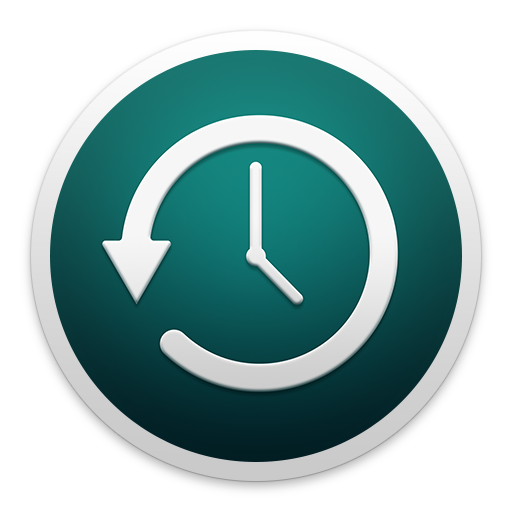 Do you use Time Machine on your Mac? Se hvordan du sætter din Time Capsule op, så der er adgang til den via internettet. Derved kan din MacBook altid få adgang til de filer, der ligger på den. Apples Time Capsule-enhed er mere alsidig end man umiddelbart skulle tro. Når man ser Apples omtale af produktet, får man nemlig det indtryk, at Time Capsule stort set udelukkende er enhed til at gemme sikkerhedskopier på via en automatiseret proces. Den kan dog bruges til meget mere end det. Først og fremmest er den selvfølgelig en trådløs router og en netværksharddisk. Det vil sige, at Time Capsule kan erstatte enhver anden trådløs router. Det vil også sige, at man kan bruge enheden til at gemme filer på, så man kan få adgang til dem fra alle computerne på netværket. Den fungerer også som en treportet ethernetswitch (til deling af kablet netværk) og har ydermere en USB-port, så man kan tilslutte en printer. Herved kan den bruges som netværksprinter. Der er sikkert også andre muligheder, jeg lige har overset i denne gennemgang. En af de ting mange efterspørger, er muligheden for at få adgang til Time Capsule uden for hjemmenetværket. Så har man nemlig pludselig en slags privat sky og adgang til en del mere lagerplads end eksempelvis Dropbox tilbyder. Det er heldigvis forholdsvis nemt at sætte op, og vi viser hvordan. Vi antager her, at du allerede har en velfungerende Time Capsule sat op, og at den har adgang til internettet via WAN-porten bag på enheden. Har du det, følger du bare guiden herunder trin for trin. Bemærk at Time Capsule ikke må være sat op i bro-funktion, hvis du vil have adgang til den via nettet. a) Åbn AirPort-værktøj. det findes i Finder under Programmer > Hjælpeprogrammer eller via Spotlight-søgefunktionen, der gemmer sig under forstørrelsesglasset i øverste højre hjørne af skærmen. b) I AirPort-værktøj trykker du din enhed og vælger “Rediger” i det lille vindue, der popper op. c) Tryk på “Diske”-fanebladet. Kryds af i “Arkivdeling” og “Del diske via WAN”. Nu er Time Capsule åbnet op, og sat op til at dele indhold via internettet. Så langt så godt, nu skal vi bare have skabt forbindelsen til den ude fra. I pincippet kan man nu via IP-adressen og ens brugernavn/kodeord få adgang til sin Time Capsule via Finder. Det gider vi dog ikke gøre manuelt hver gang, så vi laver et lille program, der automatisk forbindes os til Time Capsule. Det lyder indviklet, men det er meget nemt, da Apple har nogle godt værktøjer til formålet. a) Først skal du finde din eksterne IP-adresse, det vil sige den adresse dit netværk kan findes på ude fra. Du kan for eksempel gå ind på whatismyip.com, for at finde den. Her finder du den IP-adresse, som din netforbindelse bruger. 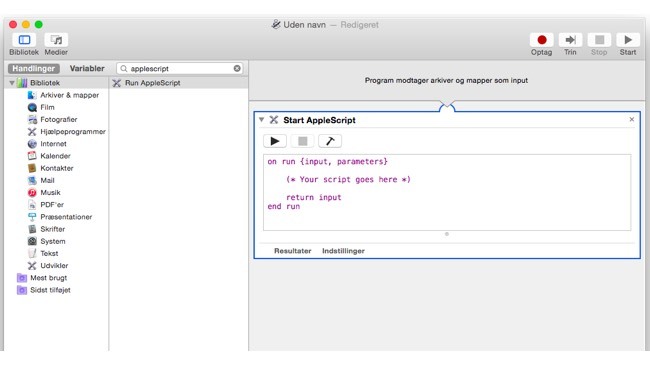 b) Åbn programmet Automator via Finder eller Spotlight og opret et nyt dokument. c) Marker ikonet “Program” og tryk på vælg. Nu er du klar til at lave et program. mount volume "afp://ipaddress" as user name "UserName" with password "Password"
Det koden gør er ganske enkelt at mounte det drev den finder på en bestemt IP-adresse, hvilket betyder at drevet bliver tilgængeligt i Finder. Du skal erstatte tre ting i koden: “ipaddress” skal erstattes med den IP-adresse, man fandt i a). “UserName” og “Password” er brugernavn og kodeord til din Time Capsule. f) Når det er på plads skal du vælge Arkiv -> Arkiver fra menuen øverst. Så skal du give dit program et navn og gemme det et passende sted. Det kunne for eksempel være på Skrivebordet, så du har nem adgang til det. Det var faktisk det hele. Når du nu klikker på det program på skrivebordet, du lige har lavet, vil det mounte din Time Capsule via internettet, så du får adgang til enheden selv, når ikke du er på hjemmenetværket. I Finder vil du kunne se din Time Capsule i venstre side under “Fælles”. Bemærk, at hvis du ikke har en statisk IP-adresse, så skifter den hver gang du slukker dit netværksudstyr, hvilket kræver en tilsvarende ændring til den nye IP-adresse i scriptet ovenfor. If you have a spare USB flash drive laying around, you should consider putting it to good use by creating a bootable installation drive for the OS X El Capitan Beta. Creating a bootable drive has many benefits and uses. For starters, it makes it easy to install a fresh copy of whatever operating system you have configured on the drive. Secondly, it makes it easy to install an operating system on a separate partition, or on a virtual machine. Lastly, it’s just smart business to always have a quickly accessible and portable installation media laying around. Note: your USB flash drive must be at least 8GB in size. Ensure that there’s nothing on the drive that you wish to keep, as this process will completely erase the drive including any volumes. The drive creation take about 30 minutes total, but your mileage may vary. Just be patient. You can now eject your USB key and keep it handy for future usage. You may choose to rename the name of the drive to El Capitan instead of Yosemite. 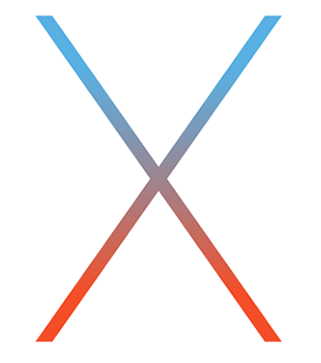 Since DiskMakerX doesn’t yet have an El Capitan option, it will name it Yosemite. In future tutorials I will show you different methods for installing OS X El Capitan on your Mac, including via Virtual Machine and on a separate partition, using this bootable drive. What do you think about the method of creating a bootable USB flash drive? Sound off with your thoughts and opinions down below. 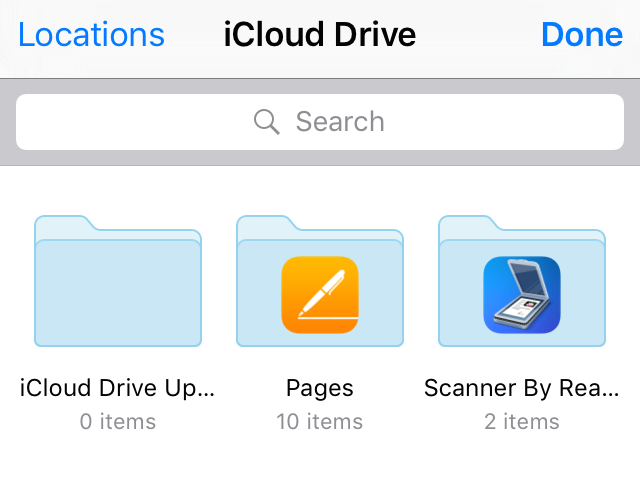 With the release of iOS 9, Apple introduced a new standalone application called iCloud Drive. The app acts a document folder of sort, allowing you to access your document created from various applications and stored in iCloud. The iCloud Drive app isn’t installed by default, and you’ll have to enable it for it to show on your Home screen. 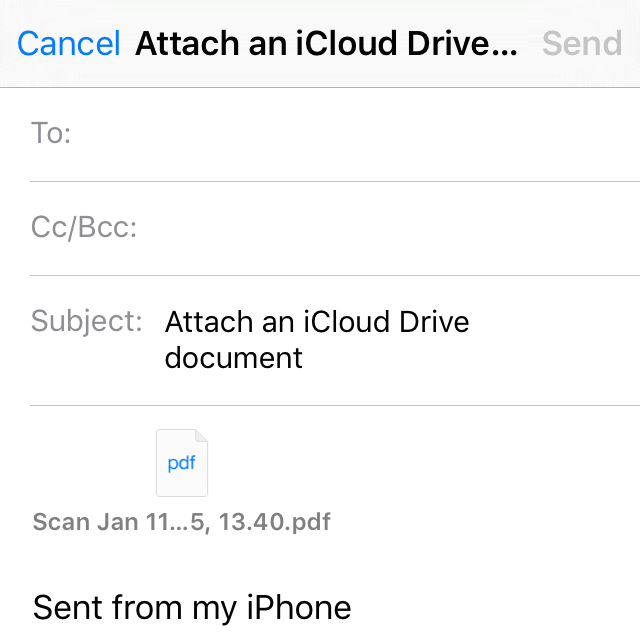 Regardless of whether it is installed or not, as long as you use the iCloud Drive feature, you are now able to attach documents from iCloud Drive to emails. Step 1: Create a new email. Step 2: Tap on the screen once to bring up the action menu. Tap on the right arrow until you see the Add Attachment option. Step 3: Tap Add Attachment. 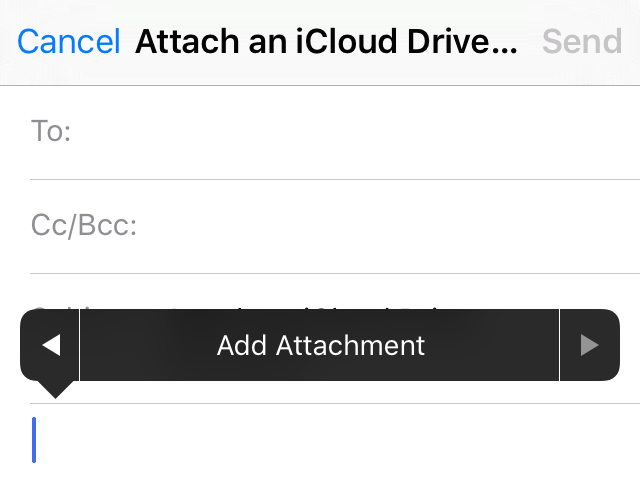 This will take you to iCloud Drive, from where you can select what document you want to attach to your email. Step 4: Select the document you want and it will be attached to your email. Step 5: Finish up your email and hit the Send button. Your document will be sent along with the rest of your email. 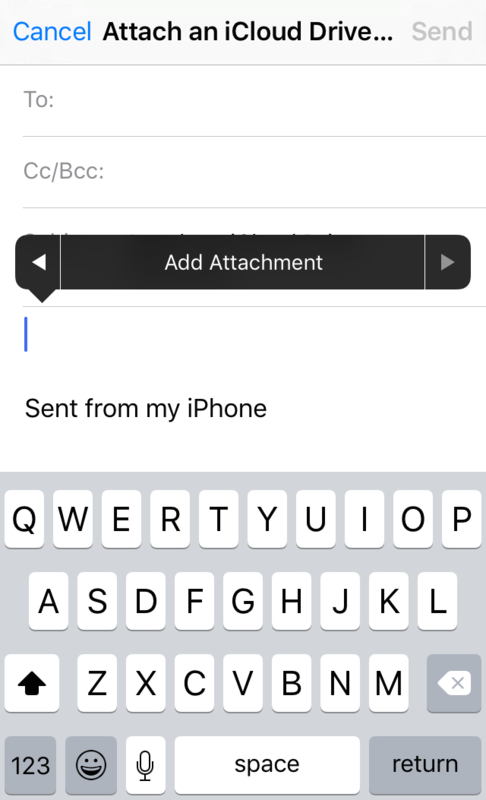 Being able to easily send email attachments without any sort of silly workaround is definitely a nice addition to iOS 9. Now we just wish we would have been able to do that sooner. Many iOS users will want to know how they can place text, a phrase, or a word overlay atop of a video captured with their iPhone. This is a fairly common and basic video editing task that can be handled with the iMovie app on iPhone, though if you’ve never added text to a video before, and if you don’t have much video editing background (like myself), the whole editing process with iMovie can be a little bit confusing at first. Not to worry though, we’ll walk through each step, and demonstrate how to place text on top of a video using nothing but iMovie for iOS. 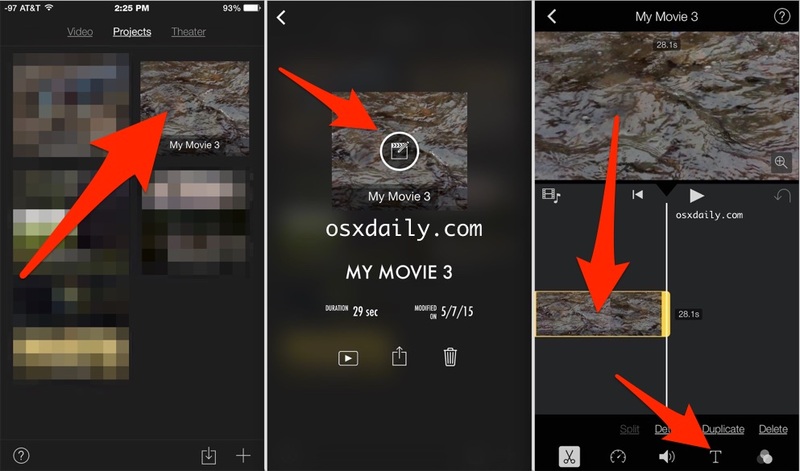 iMovie comes preinstalled on all modern iPhones, but can be downloaded from the App Store on older models as well. 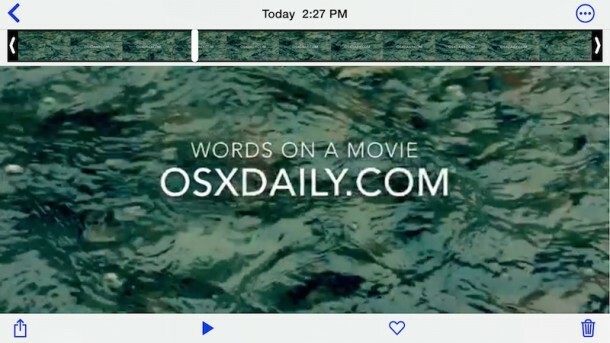 While this demonstrates putting text onto a video with iMovie on an iPhone, the process is presumably the same on iMovie for iPad or other iOS devices as well. For Mac users, the process is a bit different, but it’s covered here if you’re interested. You can choose different video quality options to save; 360p, 540p, 720p, and 1080p, do note that the higher quality options, which look considerably better, also result in much larger file sizes, and thus the save time is a little bit longer too. Another aspect worth considering with saving HD video from iMovie on iPhone is that if you wish to transfer the full HD video and not a compressed lower resolution video file, you must transfer the high resolution video from the iPhone to a computer with a USB cable, as sending it through iMessage, email, or iCloud will compress the video at varying degrees, or, at best, take an inordinately long amount of time as HD video can be hundreds of MB if not GB in file size. When in doubt, use the USB approach if you want the highest quality video from an iPhone copied to a Mac or PC. 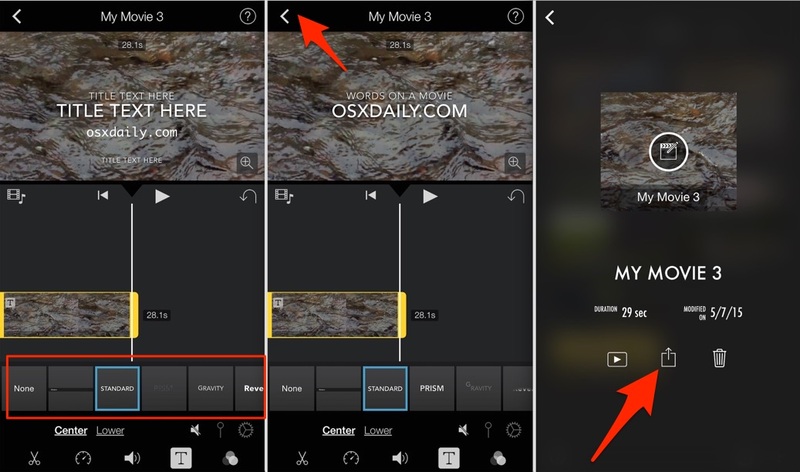 Overall, for simple video editing, text placement, filters, and other basic movie adjustments, the iMovie app on iPhone (and iPad) is quite easy to use. I personally have basically zero video editing experience and I was able to figure this out with iMovie for iOS in just a minute or two, whereas performing the same task of putting text atop video with iMovie for Mac OS X is a notably more curious and confounding experience to those who don’t have any iMovie experience. For that reason, if you just want to put some text onto a video, doing so directly from your iPhone or iPad is probably the simplest way to go, for the time being anyway. Det er meget enkelt at bruge sin Mac til at dele en kablet netværksforbindelse, så man kan få trådløst net i hele huset. Vi viser dig hvordan. 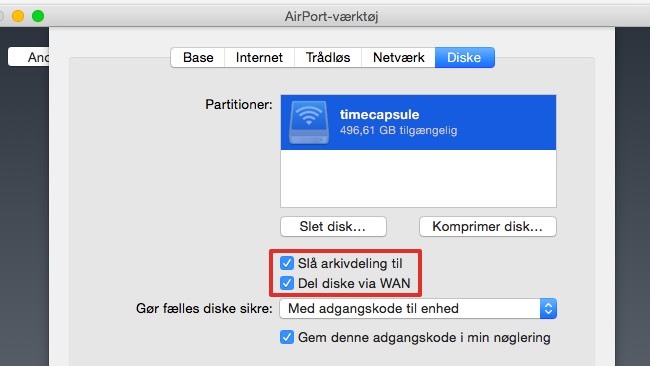 Hvis ikke du har en trådløs router eller en af Apples AirPort-enheder, kan du alligevel godt få trådløst internet (WiFi) i huset. På den måde kan din iPhone, iPad, MacBook etc. gå på nettet uden at trække på mobil-abonnementet. Du vil sikkert også få en bedre hastighed. Tricket er, at omdanne Mac’en til et WiFi-spot, således at den kan dele den kablede netværksforbindelse med andre enheder. Mac OS X kommer med den nødvendige funktionalitet indbygget, så man skal sådan set bare sætte det op. Den Mac du vil bruge skal selvfølgelig være på nettet, ellers er der jo ingen forbindelse af dele. 1. Åbn “Systemindstillinger” på din Mac via æblet i øverste venstre hjørne. 2. Tryk på “Deling” og herefter på “Internetdeling” i menuen i venstre side. Læg mærke til, at den lille firkant er grå, så det ikke er muligt at markere det. 3. Nu skal du vælge hvad der skal deles fra og hvad der skal deles til. 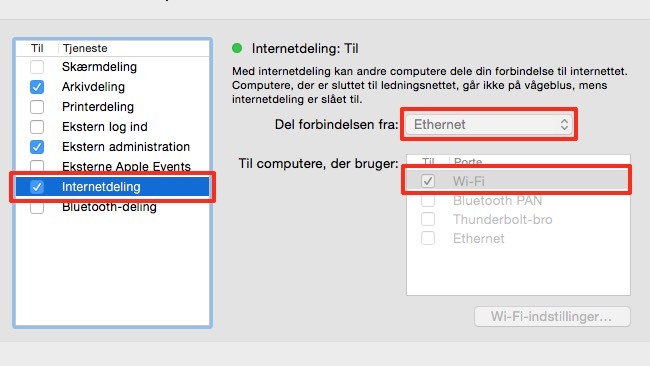 I “del forbindelse fra” vælger du ethernet (Mac’ens netforbindelse). I “Til computere, der bruger”, skal du markere “Wi-Fi”. 4. Herefter skal du trykke på “Wi-FI-indstillinger”. Det bringer et vindue frem, med forskellige ting der skal indstilles. Du skal give netværket et navn og vælge hvordan sikkerheden skal være. Det vil sige om netværket skal beskyttes med kodeord eller ej. Kanalen behøver du normalt ikke ændre på. Her vil OS X foreslå den mest optimale. Hvis du oplever problemer med hastigheden eller rækkeviden senere, så prøv at vælge en anden kanal. Det kan skyldes at naboens netværk sender på samme kanal som dit og derfor forstyrrer. 5. Når det er på plads, trykker du “Ok”. 6. Så er vi tilbage hvor vi var før. Det sidste der mangler er, at at du skal krydse af til venstre for “Internetdeling” i venstre side (der hvor feltet før var gråt). Bekræft dit valg i den dialogboks, der dukker frem ved at trykke på “Start”. Så kører det, og andre enheder kan nu logge på dit nye netværk via det netværksnavn (og eventuelt kodeord), du skrev i punkt 4. I statusbaren øverst, skulle der meget gerne være et airportikon, hvor du kan se status. I ikonet, vil der være en pil der peger op, og indikerer at Mac’en nu fungerer som trådløs wi-Fi access-point. Det eneste du skal være opmærksom på er, at det trådløse netværk kun virker så længe Mac’en er tændt, men det siger nok sig selv. Er den Mac hele tiden tændt er det selvfølgelig ikke noget problem, og faktisk er det en god måde at spare en ekstern AirPort basestation væk på. Denne metode kan selvfølgelig også benyttes til at lave ad-hoc netværk på, efter behov. There’s no denying Google Chrome is brutal on notebook battery life. Don’t get me wrong, Chrome is a great browser and used to be my daily driver. That was before OS X Yosemite came along with Safari Power Saver, a tremendously useful feature that stops power-hungry plug-ins like Adobe Flash from rendering animations and interactive elements on webpages. In case you didn’t know, Chrome has a built-in Flash Player which takes a toll on battery life and sends your notebooks’s fan into overdrive. But worry not, Google has enabled a power-saver feature of its own in a recent Chrome update. In this post, I’m going to explain how you can enable it in order to instantly improve your MacBook’s battery performance. The new feature detects Flash content on webpages you visit and intelligently pauses Flash animations and other content “not central” to the webpage, as Google puts it. At the same time, it keeps central content, like a Flash video, playing without interruption. “If we accidentally pause something you were interested in, you can just click it to resume playback,” notes the search firm adding that the new feature “significantly reduces power consumption” on notebooks. Step 1: Fire up Chrome on your Mac. Step 2: Head to the browser’s content settings (Chrome > Preferences > Settings > Show Advanced Settings > Content Settings under the Privacy section). Tip: You can also reach the plugins page by clicking Manage individual plugins in the Plugins section of the Content settings dialog. From now on, Chrome will only run the main plugin content on websites. 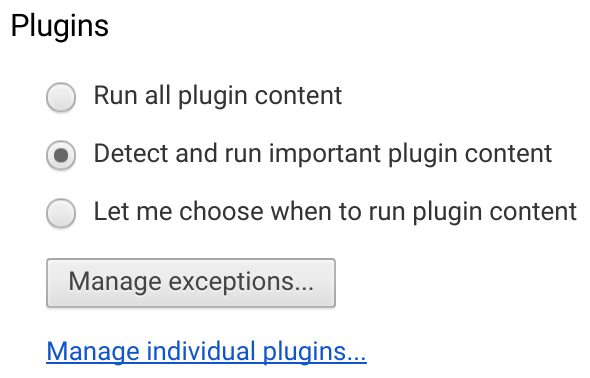 Other options include “Run all plugin content,” which tells Chrome to run all plugins, and “Let me choose when to run plugin content,” which prompts Chrome to stop any plugins from running automatically. Tip: The Manage Exceptions button lets you manually exclude certain websites and domains. If you cannot access the new feature available, your copy of Chrome is likely out of date. Just choose About Google Chrome in the Chrome menu to manually check for updates. Do you like this tip for a better battery life for your MacBook?